As keen sports people ourselves, we would like to make our patients aware of the growing problems associated with sport and dentistry, mainly due to the changes in eating and drinking habits during training and competition. Many sports drinks and nutritional supplements, which are heavily advertised at sports clubs, events and specialist magazines, are loaded with sugar and often very acidic. They are usually gulped down when the competitor has run dry, without the benefit of saliva to at least buffer the effects. This will greatly increase the risk of caries and erosion of the teeth. As the frequency of intake increases, so does the potential damage. It became apparent during London 2012 that dental disease of elite athletes had an adverse effect on performance. 30% of all acute medical problems at the Games were dentally related, second only in number to musculoskeletal issues. So at the peak of their career fitness, too many athletes suffered in their performance due to dental pain. Regular dental checks are important, so that disease can be preferably avoided or treated early. Effective brushing and flossing techniques learnt at a young age will reduce harmful plaque build-up. Use a fluoride toothpaste (1400ppm fluoride is common, 5000ppm is available on prescription). Do not brush for at least 30 mins after drinking to reduce the effects of erosion. Is a sugar loaded drink or snack necessary? Some ‘energy’ drinks have up to 9 teaspoons of sugar in them. 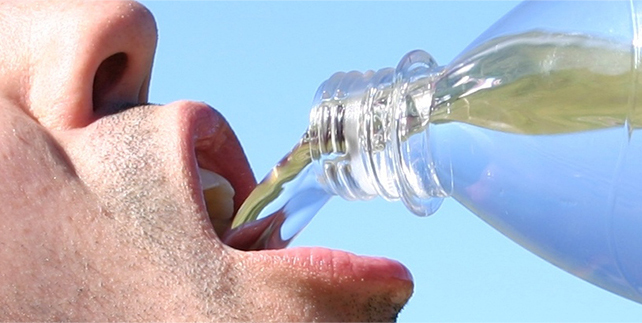 Water is all that is necessary for rehydration after the majority of recreational sport, and training makes for better performance, not the sugar! For impact sports, protect the teeth, jaws and joints with a well fitted, custom made mouthguard. The gum shield is one of the most important pieces of equipment a sportsperson should own. Not only does it protect your teeth and gums, it can reduce damage around the jaw and your chances of getting concussed. Enjoy your sport, but do all you can to look after your teeth!